British Empire soldiers included more than a million Indian Army troops serving overseas. 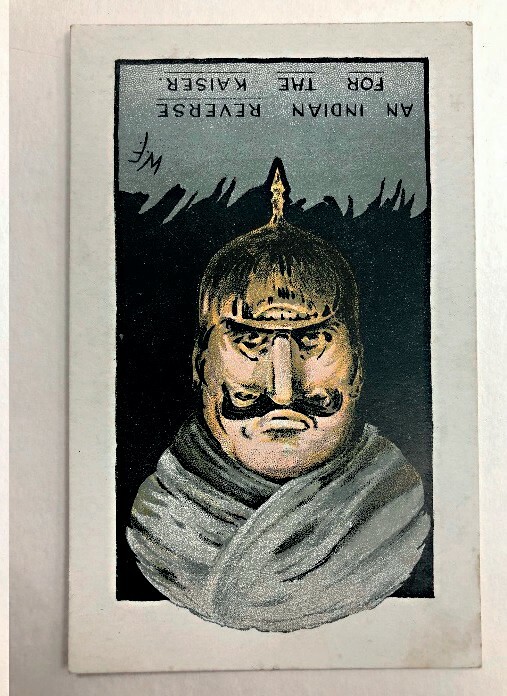 A group of postcards and photographs offered on October 16 at Shropshire auction house Mullock’s (20% buyer’s premium) centred on Sikh soldiers. 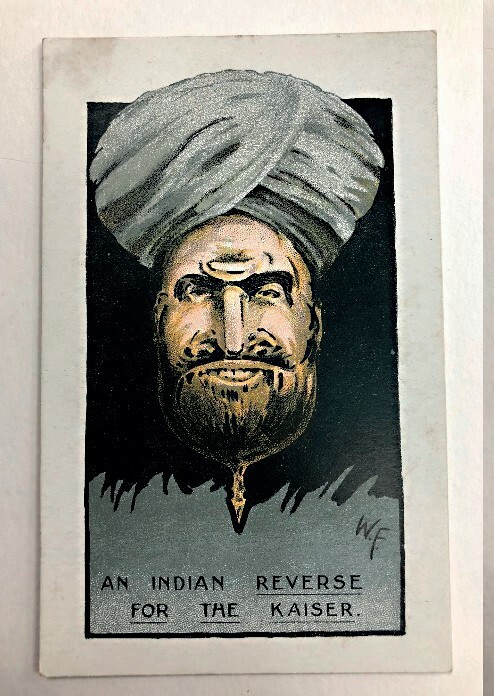 One of the lots, which made £60, is an intriguing postcard titled An Indian Reverse for the Kaiser. Showing a Sikh, it has a double meaning – hidden until you turn the image upside down. 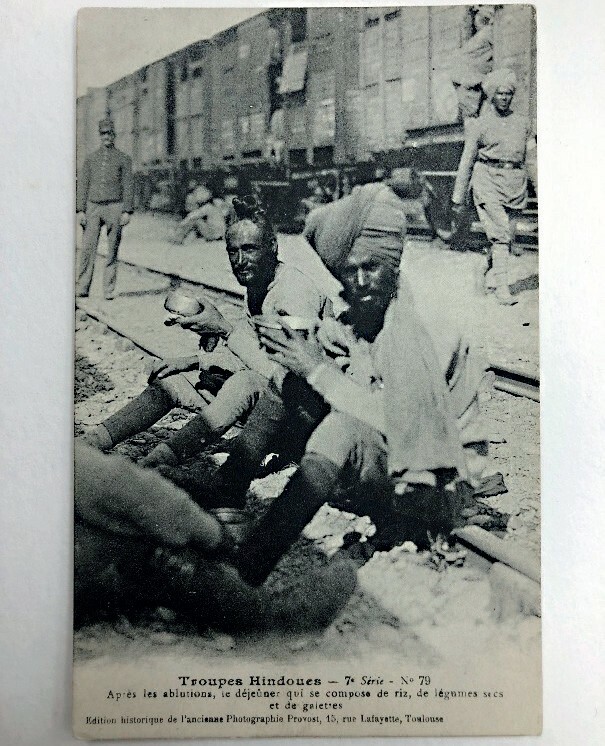 More conventional lots included a French postcard showing Sikh soldiers with and without turbans, sitting on the railway lines en route to the Western Front, c.1915 – referred to as ‘Troupes Hindoues’ on the card itself. It sold for £100.